Ever since Google went out of its way to put a (very short) expiration date on unlimited photo uploads for the new Pixel 2s, there's been some concern about the original 2016 Pixels, as they never had a limit placed on them. We reached out to a Google representative for some clarification and were told that nothing has changed when it comes to the original Pixels. Both the 2016 Pixel and 2016 Pixel XL will continue to receive free unlimited original-quality storage for photos and videos with no time limitations. 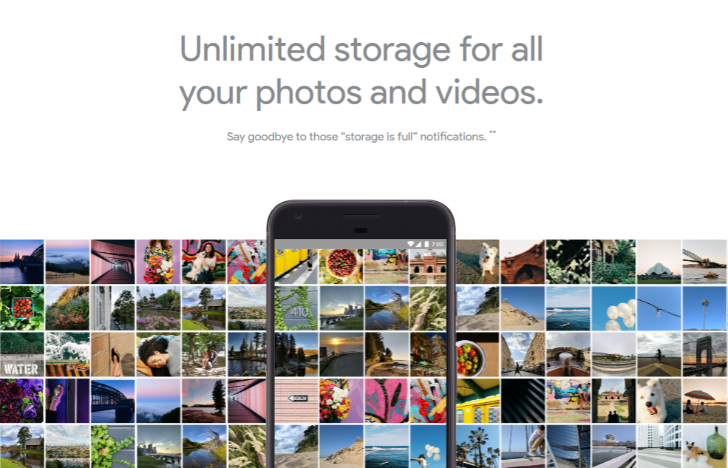 As Cody found in his teardown of Google Photos v1.21 back in March, and Carphone Warehouse listed in its 'gone-live-early' promotion page, Google has announced free, unlimited photo storage for anyone who buys a new Google Pixel phone. This means any photos you take will be backed up to Photos at the original size, and not the "high quality" size that is uploaded by default. That's not all: 4K videos, which the Pixel phones can shoot, are also supported with unlimited storage and no quality decrease. It's not clear how long this will last - if it's forever or for two years, like the 100GB of Google Drive storage is when bought with a Chromebook.